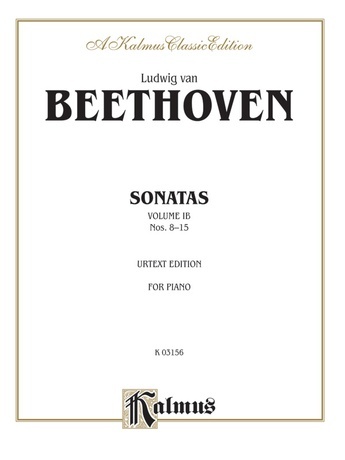 This "Urtext Edition" of Beethoven's Piano Sonatas, Nos. 8-15, includes editorial and performance notes by Carl Krebs (Berlin, March 1898). Includes: Sonata No. 8, Op. 13 ("Pathetique") * Sonata No. 9, Op. 14, No. 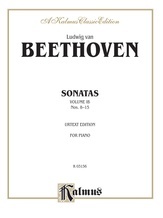 1 * Sonata No. 10, Op. 14, No. 2 * Sonata No. 11, Op. 22 * Sonata No. 12, Op. 26 * Sonata No. 13, Op. 27, No. 1, (Quasi Fantasia) * Sonata No. 14, Op. 27, No. 2, (Quasi Fantasia, "Moonlight Sonata") * Sonata No. 15, Op. 28, (Pastorale).